So I am a little behind (okay, like 14 episodes behind) on the epically melodramatic revenge extravaganza Nice Guy. After two weeks consisting of grad school finals, a nasty cold, and puppy dramatics I have finally found time to return to K-Drama. Marathon it is! Fighting! As of this evening I have at least bridged the Nice Guy gap by 4 episodes- and what episodes they are! Within the first half of an hour of this show I already felt the drama crack endorphins flooding my brain. While Nice Guy may not be the top of the tops it certainly brings the melodrama in a fast paced (if you throw out some of the Choco moments) sort of way. Addicting? Hell yes. Writing and directing? They fit the story, which is more than I can hope for with some dramas. Acting? 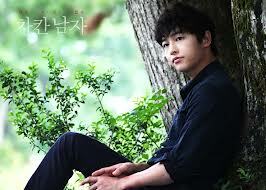 I must say I am extremely impressed with Song Joong Ki’s Maru; this is the first time I realized his range as an actor. Nice Guy is the story of a…well nice guy (mostly). A handsome chap born in poverty, our leading man Maru built his life always caring for the most important people in his life. Willing to go to prison for a person he cares about, willing to do whatever it takes to support those he holds dear Maru is the type of character that elicits heavy sighs of moral jealousy. Except for when he is plotting- then it is more fist-pumping and cheering from viewers (at least this viewer). As our plot setup goes Maru, a promising medical student, took the fall for a crime committed by his girlfriend, a young reporter from his neighborhood. After serving a lengthy prison sentence Maru finds himself an ex-con, a man that is faced with the realization that his girlfriend did not wait for him (despite the fact he took a murder rap for her). Finally free Maru finds himself with an ill little sister, a whole lot of guilty feelings about his siblings illness, and the cold hard fact that the woman he took the fall for is now officially shacked up with a rich chaebol twice her age. Add in some further evilness via the ex-girlfriend and you have enough motives for revenge to make City Hunter jealous. Throw into the drama recipe the tenaciously driven step daughter of Maru’s ex – the heiress Eun Gi (conveyed nicely by Moon Chae Won of The Princess Man fame), bake for fifteen minutes and you end up with the melodramatic crack that is Nice Guy. What I am enjoying thus far about this drama is the plot pacing- the show knows that its melodramatic plot twists will only work with a speedy trajectory through story developments. While bringing the twists the ultimate knowledge of who is playing who and who likes who is left in the dark, a crucial element to why this story is working far. I am having a hard time deciphering if Maru is honestly interested in Eun Gi or vice versa, at times it appears that both characters are using each other- fast forward fifteen minutes and their chemistry and feelings seem to guide their relationship. Color me confused. The step daughter / step mother element is another gem of this drama- these characters together light up the small screen in a bitchy tug of war that I am thoroughly enjoying. Right now my money is on Eun Gi (after all she has Maru on her side) however this drama is the type to turn the tables unexpectedly. One thing I am anticipating is a reveal of birth secrets- I have been down this drama lane before and this show feels ripe for this type of parental plot twist. I am behind in this story, so it is very possible this twist has already reached the viewers that are all caught up (or is non-existent). If the ever popular the father-is-really element appears don’t let me know! I in love with the melodrama so much I want to be blindsided, something Nice Guy is doing well thus far. I know through reading the synopsis (bad me) that amnesia makes an appearance in the storyline (just not sure how). As always I am extremely hesitant to see the merit in the I-forgot-you plot twist, it rarely works in the stories favor. 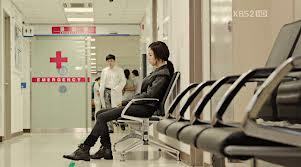 An over used cliché of dramas amnesia can creep up and ruin a story in the matter of an episode. I am really hoping that Nice Guy plays this well, I am enjoying the revenge story too much to see it ruined by a poorly executed case of convenient amnesia. Here is hoping that the next 14 episodes (soon to be 16) will treat me as well as the first 4, I am relishing my return to K-drama land far too much to be disappointed. I was wary of the amnesia storyline as well, but I thought they did a good job with it. Happy to hear. I am not yet at the amnesia point in the story so I find myself biting my nails in nervous anticipation. 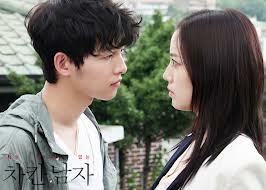 I must say that so far this drama is far from disappointing so I have high hopes that amnesia will not kill the story.